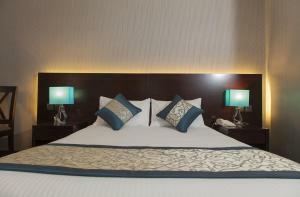 Novel Hotel City Center is located the centre of Abu Dhabi, close to the Corniche waterfront. It features an outdoor pool and a stylish bar and lounge area. 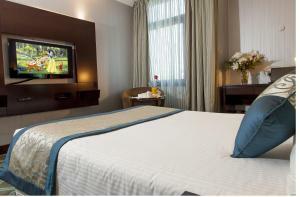 Guest rooms and suites at Novel Hotel City Center have contemporary furnishings and are fitted with cable flat-screen TV. 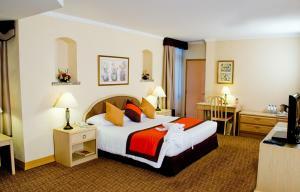 Guests can enjoy free WiFi in the rooms. 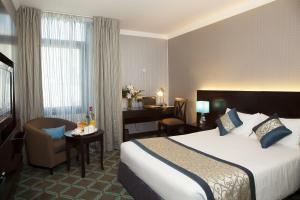 Novel Hotel City Center offers a choice of 4 restaurants including Chinese and French specialties. There are also 3 bars , including a piano lounge and a pool-side sports bar. 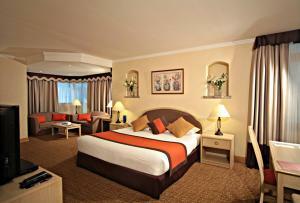 There is an outdoor swimming pool and well-equipped fitness centre. 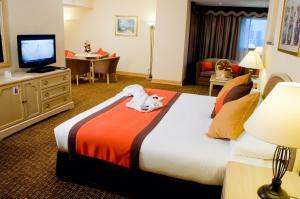 The nearest airport is Abu Dhabi International Airport, 30 km from Novel Hotel City Center. Please note that all guests are required to present either a valid passport with entry stamp or residence visa or an Emirates ID upon check-in. Please note that children below 12 year of age are not allowed to use the swimming pool. Please note that children below 12 year of age have to be accompanied by the parents for them to access the property.